Open access to scientific literature plays a crucial role in the development of a digital knowledge commons, benefiting scholars, patients, researchers, and therefore, the public at large. We owe many thanks to the global open access movement that has been working hard to improve access to knowledge for over a decade. EFF welcomes the new recommendations launched last week in celebration of its 10 year anniversary. Translations of the recommendations have already been made in several languages, with more to follow. 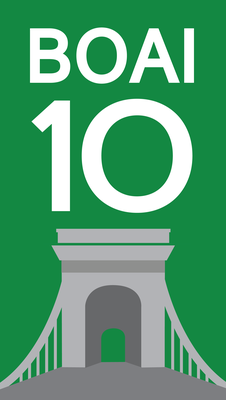 The BOAI@10 is a set of recommendations that build upon the first 10 years of the OA movement and expand its original ideas to not just include open access, but the means to make it possible. It covers metrics and professional incentive systems, repository infrastructure and functioning, open licensing (with a clear recommendation for the most permissive Creative Commons license, CC-BY), and more. The recommendations also urge the government and funders to require that the results of research they fund are published by the copyrightholders as open access. They go further and also urge the OA movement to cooperate and reach out to other movements, such as those addressing digital freedoms, open educational resources, and open government. The open access (OA) movement is a reaction to the persistence of traditional control-based models of scientific knowledge distribution, characterized by high cost subscription journals. The reaction of these scholarly publishers to the Internet has been characterized by capture and lockdown through digital rights management (DRM), rather than the maximization of distribution of knowledge, which is their supposed reason for existence. The problem is that publishers have hampered knowledge distribution of vital research to institutions and libraries, not to mention individual consumers and patients around the world, because they are concerned with revenues, not scholarly progress. OA is part of a larger revolution in knowledge generation and distribution, but it’s specific to peer-reviewed scholarly literature. The goal of the OA movement is a knowledge distribution model where scholarly, peer-reviewed journal articles are made freely available to anyone, anywhere over the Internet, with no copyright constraints beyond attribution and no costs beyond those involved in connecting to the Internet. Its ultimate aim is to empower individuals, researchers, communities, and institutions to share and participate in the knowledge society. Most universities today maintain online repositories in addition to the thousands of subject specific archives in the sciences and social sciences. Universities, research institutions, and foundations have also developed policies recommending or mandating open access to publication, data, and software. (Check out the Open Access Map and the Registry of Open Access Repositories Mandatory Archiving Policies to see where OA materials are available). In the era of print, open access was economically and physically impossible. The lack of physical access and the lack of knowledge access were directly correlated: without physical access to a well-stocked library, knowledge access was impossible. Information communication technologies (ICTs) like the Internet have changed that. ICTs have come to facilitate infosharing in a way that was once not possible, thereby breaking down physical barriers to access to information in an unprecedented way. The increase standarization of open copyright licenses also came to provide the legal infrastructure to make OA possible. Melissa Hagmann of the Open Society Foundation affirms that OA is core to the exercise of digital freedoms: "In the Internet era, people demand and need access to knowledge to make informed decisions. OA to publications, law and data are crucial to empower people and our youth." Peter Suber, one of the founders of the movement, also adds: "When researchers discover relevant new work online, OA frees them to retrieve and read it. In addition, open access frees them to use and reuse that research without slowing down to ask for permission, taking the risk of proceeding without it, or erring on the side of non-use." 2012 already saw two important faces of this OA movement in addition to the anniversary of the main declarations that define the OA movement. Thousands of researchers signed a petition earlier this year pledging to boycott journals published by Elsevier, the world’s largest journal publisher, unless it dropped support for US legislation aimed at curbing government-mandated open access. Elsevier quickly withdrew its support for the bill in the face of researcher opposition. Earlier last June, an Access2Research petition supporting open access—specifically free access over the Internet to academic articles arising from taxpayer-funder research—crossed its target of 25,000 signatures, two weeks ahead of schedule. OA has helped to create a world that all may enter without privilege or prejudice accorded by race, economic power, military force, or station of birth. In the OA world, all creations of the human mind may be reproduced and distributed infinitely at no cost. OA—which has conquested the world through individual action, as well as governmental and institutional policies—has created an unprecedented public good of peer-reviewed quality and trustworthy research. There can be little doubt that the promotion of digital liberty is deeply connected to this public good. EFF is therefore committed to be a part of the OA movement and help it achieve its goals by fostering access to knowledge and empowering users freedoms. For too long, the movements for digital liberty and the movements for knowledge access have run on parallel tracks. Let the world know that now, we are on the same track.